When John Maxwell of Fellows Hall, Killylea (Armagh) died unmarried in 1820, his property was divided among the surviving descendants of his sister Margaret and her husband John Tew, Lord Mayor of Dublin in 1759-60. 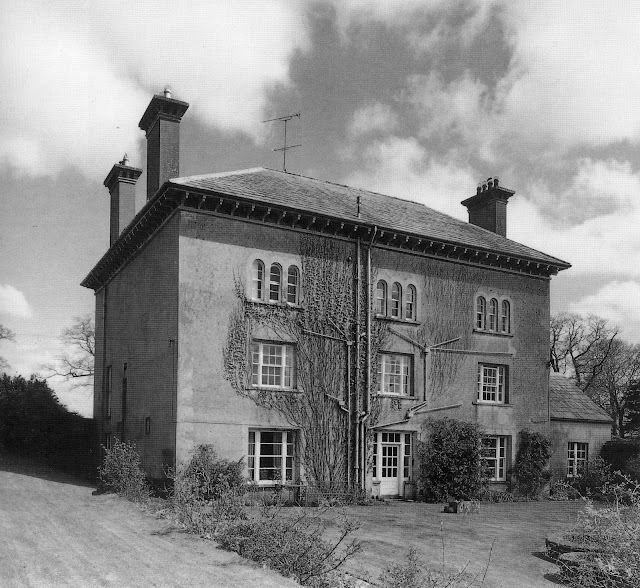 By the mid 19th century, their grandson, Sir James Matthew Stronge (1786-1864), 2nd bt., had inherited Fellows Hall and about 2,200 acres at Killylea, which marched comfortably with his own family property of Tynan Abbey, and a further 1,900 acres at Killylea had passed to Tew's daughter Margaret (c.1758-1860), and her husband, the Rev. William Jones Armstrong (1764-1835), who was rector of Termonfeckin (Louth), where he had built a fine new three-bay rectory house in 1814. In the mid-1820s Armstrong got into obscure financial difficulties and in 1827 he was obliged to give up the rectory and move to England, where he died in 1835 after apparently being supported in his final years by the family of his elder son's wife. His widow then moved to Belfast where she died in 1860, at the extraordinary age of 101 (some accounts say 103). The Armstrongs seem to have preserved their property at Killylea despite their financial eclipse, and it was probably managed by their youngest son, Thomas Knox Armstrong (1797-1840), who rented Fellows Hall from his Stronge cousins in the 1830s and later Elm Park, also at Killylea. In 1840, however, he died while convalescing from illness in Rome, and his unexpected death led to a legal dispute between his widow and his elder brother, William Jones Armstrong (1794-1872), who inherited the Killylea estate. William had recently returned from a (no doubt profitable) fifteen year stint as an attorney and colonial administrator in the sugar colonies of Berbice, Demerera and Essequibo (which were joined together as British Guiana while he was there) and he was able to set himself up as a landed proprietor on his return to Ireland. For the first time, the lack of a house on the Armstrong lands at Killylea was now an inconvenience, and William seems to have lived at various rented properties for the rest of his life. In 1868 he took the additional name Wright as a condition of his mother-in-law's will, but this was not adopted with any enthusiasm by his descendants, and seems to have been quietly dropped after his death. When William died in 1872 his heir was his only surviving child, Henry Bruce (Wright-) Armstrong (1844-1943), with whom the family first incontestably joined the ranks of the landed gentry. Like his forbears, Henry was trained as a barrister but he also went into the local politics of Northern Ireland as a Unionist, and sat briefly as an MP at Westminster before the division of Ireland in 1922, after which he became a Senator in the Northern Ireland parliament. He was also Lord Lieutenant of County Armagh and a Senator of Queen's University, Belfast. He inherited the longevity of his maternal grandmother and remained active in his official posts well into his nineties. In about 1880 he purchased the former Deanery at Armagh and this belatedly gave the family a centre from which to administer their nearby Killylea estate. His eldest son, William Fortescue Armstrong (1885-1928) having been killed in a riding accident some years earlier, he was succeeded at his death by his grandson, Maj. Michael Henry Armstrong (1924-82), whose son Edward James Maxwell Armstrong (b. 1958) is the current owner of Dean's Hill. The fourth son of Senator Henry Bruce Armstrong was James Robert Bargrave Armstrong (1893-1980), who made a peacetime career was as a barrister, chiefly in east Africa. 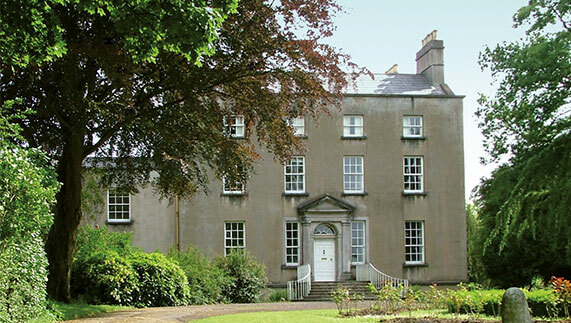 In the early 1950s he retired and returned to Northern Ireland, where he bought Fellows Hall, Killylea. At his death, the house passed to his elder twin son, Henry Napier Armstrong (1936-2014), who followed a rather similar career path, working as a barrister in Kenya and Tanzania from 1963 until his father's death. The house is now a grey stone, slightly Italianate five bay house of two storeys above a basement, with a tall hipped roof and chimneystacks in the side walls, but this appearance masks a complex development, much of which is still reflected in the existing structure. The estate was granted by the Crown to Trinity College, Dublin in 1610 and was leased from the college later in the 17th century by Robert Maxwell, Bishop of Kilmore, one of the fellows. His son James built a new house here after the Restoration which was in existence by 1664, the date given by two heraldic plaques on the house, and he named the house in honour of the College. The 17th century house was destroyed by fire in 1752, although some of the fabric seems to have been retained as what became the spine wall of the house is exceptionally thick by later standards. The tall end-stacks may also be a legacy of this house. Fellows Hall, Killylea: the east front. Image: Michael O'Connell. Ten years' later, Fellows Hall was rebuilt as a two-storey single-pile house for Robert and Grace Maxwell 'under the inspection of their son, John'. The 18th century plan remains largely intact on the west front, with two small Georgian rooms flanking a handsome dog-leg staircase that is pushed off-centre by a closet. The stair has thick newels, sweeping handrails and three balusters to each tread, a characteristically early-to-mid Georgian arrangement. Fellows Hall, Killylea: west front. Image: Michael O'Connell. In 1802 the house was modernised and enlarged for John Maxwell, who was a bachelor and the last of his name to occupy the house. In effect the old ground floor became a basement (although it still appears as a full storey at the rear because of the fall of the land) and an extra storey was added to the whole house. A new, wider entrance front was created on the east side, and the windows on the west side were widened to make the tripartite sashes so typical of the time. Inside, behind the new front there were larger reception rooms on either side of a deep entrance hall that reaches back to the retained old staircase. The new rooms have simple moulded cornices and chimneypieces of a mildly neo-classical flavour. The lease from Trinity College Dublin was made perpetual in 1856 (although their residual title was not finally bought out until 1954) and probably shortly afterwards the main front was remodelled yet again, and the roof was raised. The author of these works is not known, although it could have been Frederick A. Butler, who altered Killylea church in 1874. On the main entrance drive there is a pleasing Regency-style lodge, built in 2007 to the designs of Brian Esmond. It is a tall cubic block of two storeys with a shallowed canted porch, casement windows, and a low pyramidal roof with a tall central stack. The walls are rendered, with minimal decoration, but the overall effect is elegant and it is delightful to find a new lodge being built in the 21st century. Descent: Robert Maxwell, bishop of Kilmore; to son, James Maxwell (fl. 1664)... Robert Maxwell (fl. 1762); to son, John Maxwell (d. 1820); to niece, Helen (née Tew), wife of Rev. 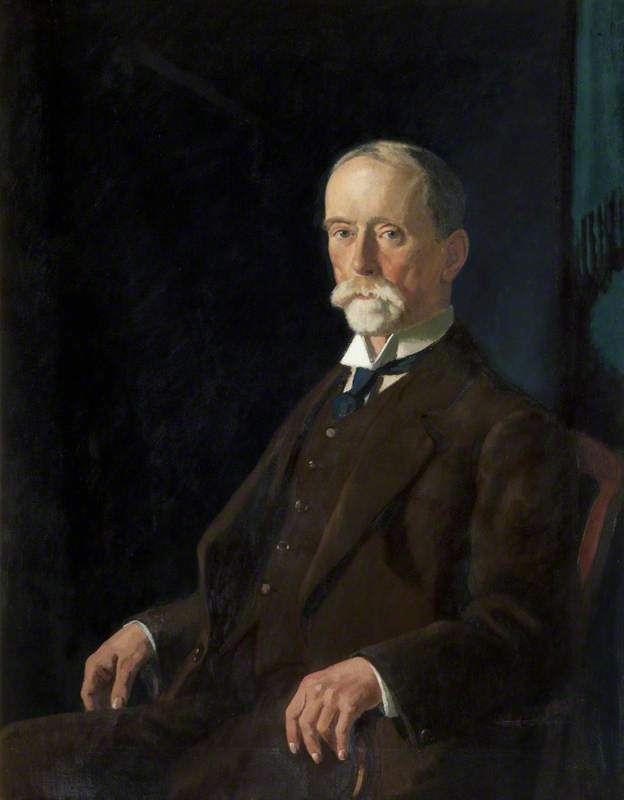 Sir James Stronge, 1st bt. (1750-1804); to son, Sir James Matthew Stronge, 2nd bt. (1786-1864), who leased to Thomas Knox Armstrong (1797-1840) and later to Lt-Col. George McClintock, whose wife (fl. 1907) was Stronge's daughter; to son, Sir James Matthew Stronge, 3rd bt. (1811-85); to brother, Sir John Calvert Stronge, 4th bt. (1813-99); to son, Sir James Henry Stronge, 5th bt. (1849-1928), who sold to the Misses McClintock, daughters of the previous tenant; sold after death of Miss Isa McClintock MFH (d. 1954) to James Robert Bargrave Armstrong (1893-1980); to son, Henry Napier Armstrong (1936-2014). A tall, cement-rendered Georgian house, built as the Deanery of Armagh Cathedral in 1772 for Dean Hugh Hamilton, who was a scientist as well as a theologian. According to family tradition, the house lay abandoned for some years, except for a piggery in the basement, before it was sold by the church in 1880. It consists of three storeys above a semi-basement, with gabled end-walls, and was altered in 1887 by J.H. Fullerton and extended to one side in 1896 by H.C. Parkinson. The front has four bays with Georgian windows and a large central doorcase in an aedicule, squashed between narrow ten-pane sashes. The large pedimented doorcase has Tuscan pilasters and is reached across the area by a sweeping flight of steps. Inside, the house has a double-pile plan with a large central hallway and the staircase to one side. The main rooms have enriched cornices and lugged doorways. The Armstrongs now offer bed-and-breakfast accommodation in the house. Descent: sold c.1880 by Representative Church Body of Ireland to Rt. Hon. Henry Bruce Armstrong (1844-1943); to grandson, Maj. Michael Henry Armstrong (1924-82); to son, Edward James Maxwell Armstrong (b. 1958). (6) William Tew (b. 1770); educated at Trinity College, Dublin (admitted 1785; BA 1790); probably died young. * See note in the 'Can you help' paragraph below. (6) Diana Jane Armstrong (b. 1801), born 16 December 1801; died unmarried. He built a new rectory at Termonfeckin in 1814. He died in Little Chelsea, Kensington (Middx), 4 September. and was buried at St Mary Abbots, Kensington, 10 September 1835. His widow died in Belfast, June 1860, aged 101. (2) Rt. Hon. Henry Bruce (Wright) Armstrong (1844-1943) (q.v.). In 1841 he leased Elm Park (Armagh) and in 1862 he was living at Glenaule House (Louth). He owned about 1,900 acres around Killylea, but owned no house there. He died 17 November 1872. His widow lived at Walmer (Kent) and died 21 September 1894; her will was proved 16 October 1894 (effects £14,124). He purchased Dean's Hill, Armagh, in about 1880. In the 1870s he owned over 4,000 acres in Armagh and Longford. He died 4 December 1943, aged 99; his will was proved in Belfast and sealed in England, 8 August 1944 (estate in England £44,947). His wife died 2 May 1936. (1) Michael Henry Armstrong (1924-82) (q.v.). He died in a riding accident during a point-to-point race at Morpeth (Northbld), 13 April 1928; his will was proved 6 June 1929 (estate £20,254). His wife died following childbirth, 30 May 1924. (5) Jane Elizabeth Alice Armstrong (b. 1967), born 5 January 1967; educated at Aberdeen University. He inherited Dean's Hill from his grandfather in 1943. He died in Belfast, 26 January 1982. (3) Henry Cornelius O'Dowd Armstrong (b. 1998), born 30 July 1998. He inherited Dean's Hill from his father in 1982. (2) Catherine Diana Lucinda Armstrong (1839-72), born 25 January 1839; died unmarried at Arcachon (France), 29 April 1872. He rented Fellows Hall, Killylea from the Stronges c.1835-38. By 1839 he was described at his death as 'of Elm Park', Killylea, which he must have rented from the Blacker-Douglases. In 1839 he went to Italy for the benefit of his health but died in Rome, 13 January 1840, and was buried in the Protestant Cemetery there, where he is commemorated by a monument. His will led to litigation in Chancery between his brother and widow which was not resolved until a decree in 1850. His widow died at Oban (Argylls), 31 August 1871. (5) twin, John Fortescue Armstrong (b. 1936) of Cawthorpe Hall (Lincs), born 28 February 1936; educated at Eton, University College, Oxford and University of British Columbia (BSc); civil engineer; married, 4 March 1967, Chantal, daughter of Claude de Chazal of Lower Kabete, Nairobi (Kenya) and had issue two sons and one daughter. He purchased Fellows Hall in about 1954. He died 3 July 1980. His widow died 14 September 1986. (3) Mark Harold Napier Armstrong (b. 1978), born 1 June 1978; educated at Loretto School and Newcastle University. He lived in Kenya, 1963-80, but inherited Fellows Hall from his father in 1980. He died 14 February 2014 at Fellows Hall, Killylea. His widow is now living. Per pale gules and vert three dexter armed arms couped at the shoulders and embowed, hands clenched, proper. Much of the complexity of this story derives from the fact that the Armstrongs inherited land but no house at Killylea when John Maxwell's property was divided after 1820. If anyone can explain why the family divided the property as they did, I should be pleased to update this account accordingly. Does anyone know of any images of Fellows Hall before the final alterations were made to it c.1860? Is anyone able to provide evidence of the dates of John Tew's children? The tentative dates given here are based largely on the order in which the children are named in near-contemporary genealogies, but this may be misleading. In particular, it would be unusual for Robert Tew to have joined the army at 32, and it therefore seems possible he was born later than suggested here. Can anyone provide information about who has inherited Fellows Hall following the death of Henry Napier Armstrong in 2014? This post was first published 20th September 2015.